You've seen Rovio hackery before, but not like this. Not with MIND CONTROL and Skype both involved. 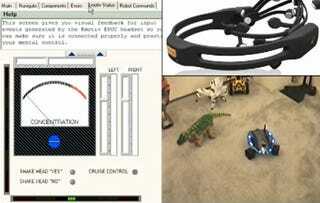 Emotiv Systems' headset is used to control the Rovio, with the signal being carried to the robot over Skype.